If you have graduation, graduation parties, wedding showers or, frankly, unbearably hot months ahead (*raising my hand) I can’t recommend this dress enough. It’s fit is simple, ladylike and flattering, and the neckline immediately sets you apart. While I almost always wear dresses with wedges, given my height, I’ve found it looks great with sandals, and would be darling with this pair I have my eyes on! Safe to say the obsession is real. I love it so much that I’m considering buying it in black as well! I also wanted to pass along a quick thank you to all of the kind comments and feedback y’all left on my last post! I’m so excited for this new adventure, and you can bet I’ll be bringing you all along on all of the details. Love the fact that I get to figure out life here along with y’all so, so much! Thanks for being such a dynamic, important, involved piece of my story. Lots of gratitude for y’all every single day! I love this dress! The neckline is so much fun and the color is beautiful! Great dress! It appears to be lined. Is it? Thanks! I spotted this dress on Nordstrom a few weeks ago but was curious how the fit was. I love it!! I love the ease of this dress, especially with your jacks! It looks like you could walk around an outdoor festival all day, stay cool, not get blisters, but still look put-together at the end of the day. It looks like a perfect dress for the summer heat!! Love your dress that neckline is ridiculously cute and the bag you paired it with gives off a super fun vibe. Also, congratulations on moving into your own place! The details on the neckline are just gorgeous! I love the color too. This dress looks gorgeous on you, Kate! 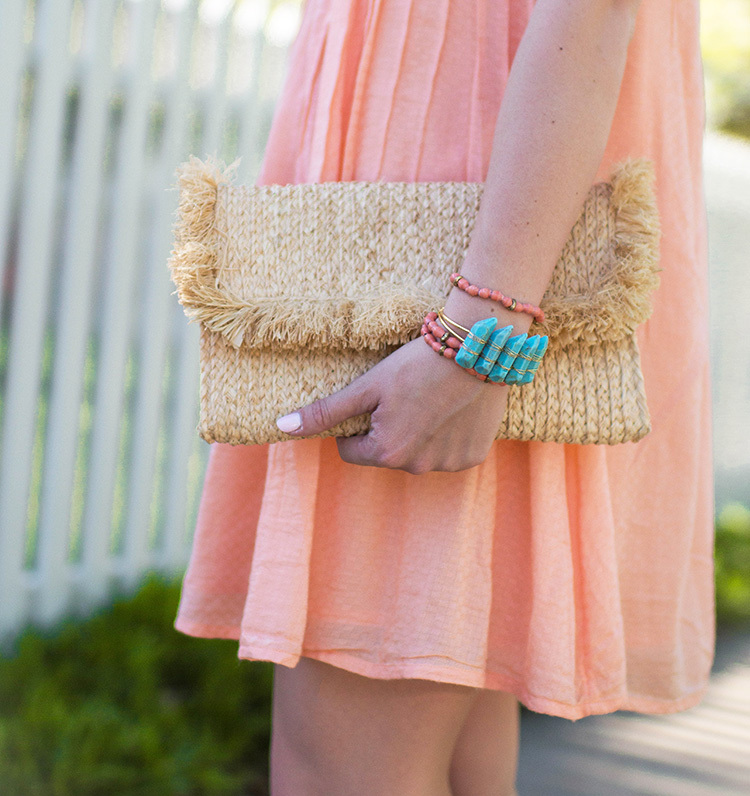 It is a perfect dress for spring! I love this dress. You’re right, totally perfect for a graduation. This would be the perfect dress for my Charleston trip this summer! I love the color!